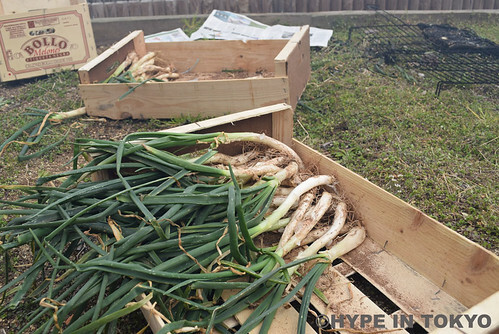 During winter, in Catalonian region, is typical to eat calçots, a long tender onion, only harvested in this side of the Mediterranean, and popular since ends of the 19th century, when a farmer burned by accident some of this onions. 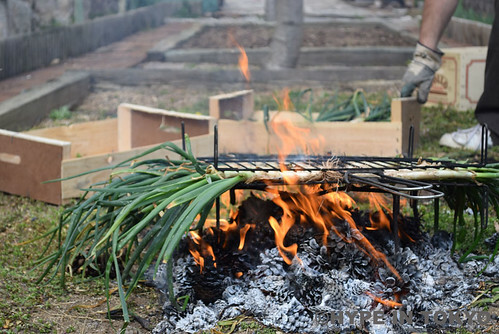 The best calçots are from Valls, and every year there’s an eating contest and many festivals around this vegetable, named calçotades. Funny thing when in Japan I saw all the green onion in the supermarket and went crazy about it, feeling a bit homesick. Even if it looks similar, is not the same taste. Also, when I showed to my japanese friends pictures of our green onions they thought I have a weird culture. This vegetable is barbecued untill it’s outside looks burnt as charcoal. 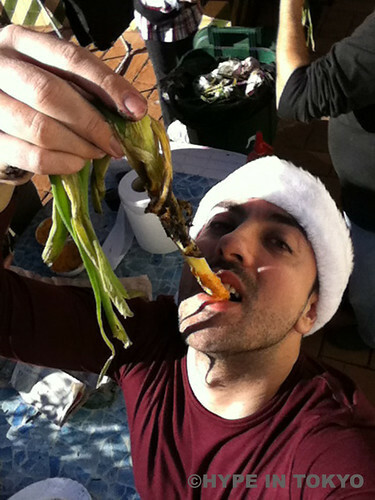 To eat it, hold it from the green leaves and peel all the burnt part, then you obtain the juicy and hot veggie. Dip it into the special calçot sauce, hold it over your head and then bite it. Funny way of eating we have the catalonians, right?